At the holidays, please consider including a Gambian student in your gift-giving plans by making a gift to GambiaRising in the name of someone on your gift list. To do so, chose one of the two designs below and click the Add to Cart button once for every card you want to order. Cards are available for $20 or $50 each in each design. When we receive your order, we'll send your gift cards out within 24 hours. (After December 12th, we'll send them 2-day Priority Mail.) We'll send them to you and you can give them to the person on your gift list, or if you'd like us to send the gift card directly to someone on your behalf, order a card below, and then ALSO email us at ﻿gambiarising@gmail.com﻿ and tell us where to send the gift card, how you want it signed, and any special message. 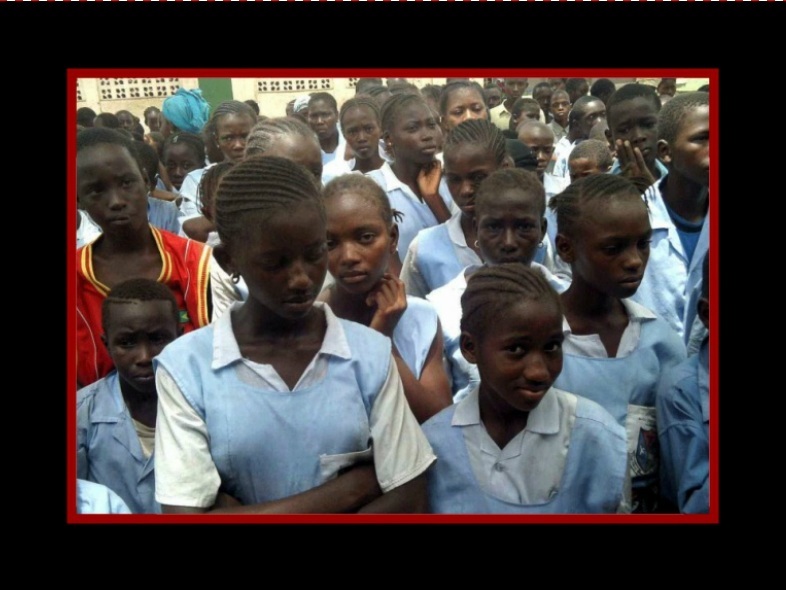 This is the time of year when second term school fees are coming due in The Gambia, and students are in danger of being "sent out" of school for non-payment. A little money can change one of these students' lives by allowing them to stay in school. What better way to celebrate this gift-giving season than including a Gambian student and giving her/him the gift of staying in school. Don't have a PayPal account? (To use a credit card, when the sign-in box for PayPal comes up, look to the bottom of the screen and click where it says "No PayPal account? Pay using your credit or debit card.") It's easy; honest!